Lois Dean Brewer, 76, of Goreville, passed away on Thursday, February 15, 2018 at Memorial Hospital of Carbondale. Lois was born on September 13, 1941 in Williamson County to Everett and Gladys (Louis) Albright. She married Clyde Brewer on April 11, 1959 at Mt. Hebron Church in Union County. Funeral services will be held on Tuesday, February 20, 2018 at 11am at Blue Funeral Home in Goreville with Rev. Kevin McNeely officiating. 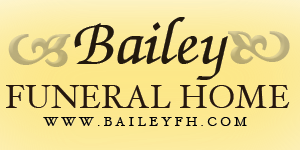 Burial will follow at McKinney Chapel Cemetery. Visitation will be on Monday, February 19, 2018 from 5pm until 8pm at the funeral home.